In Heart of the Lonely Exile, Book Two of BJ Hoff’s acclaimed and bestselling Emerald Ballad series, readers will find heroine Nora Kavanagh struggling to build a new life for herself and her son Daniel in America. 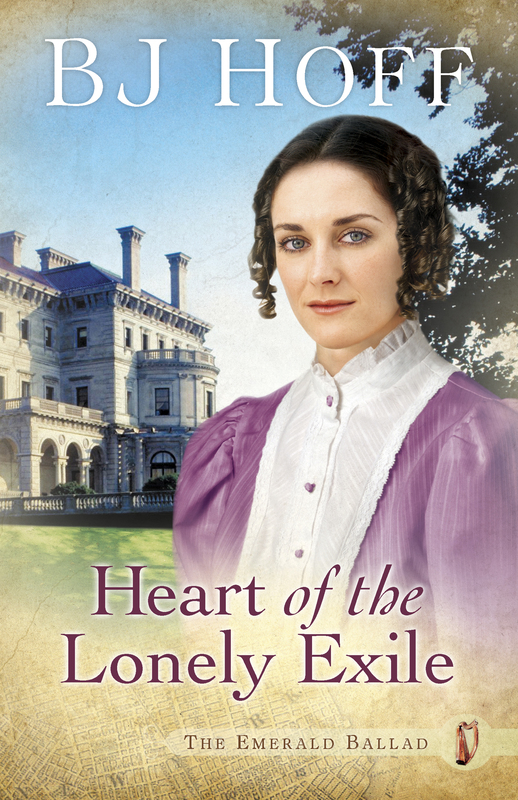 With help from a wealthy American family and friendship and support from a British gentleman, Nora nevertheless finds herself caught in a conflict of the heart. Michael Burke, a strong, dedicated Irish policeman, desperately wants to keep his promise to his best friend Morgan Fitzgerald to marry Nora and protect her. But Nora’s instincts urge her to resist Michael’s proposal and follow her heart in a different direction….More troubling still, in the midst of her personal struggle, the heartaches from her homeland continue to plague her. Heart of the Lonely Exile continues the saga of the Kavanagh pilgrimage—a journey of the soul in a strange new land, where all those who are exiles and aliens seek to finally find their true home.